Attorney-Based Credit Repair New York - White Jacobs and Associates. New York is the home of Wall Street and a hub for finance. Even if you’re not a finance guy or gal, having good credit is necessary for big life events like buying a home, refinancing, large purchases, and getting great interest rates on loans, credit cards, and much more. Finding the right company for credit repair in New York is daunting. Signing up with a company that does nothing but send out disputes typically yields poor results, but that’s what most credit repair companies do. Sending out disputes is something you can do yourself. A “disputing service” is NOT what we offer at White Jacobs and Associates. Our process is on a completely different level. Keep in mind that most companies offer traditional credit repair (the 100-bucks-a-month guys) for New York residents, but WJA offers an aggressive alternative to traditional credit repair that includes an investigative research team, an in-house lawyer, and a personal credit analyst (for you). Everything we do is personalized to your credit situation. We have seen just about everything that can appear on your credit report. The most common are collections, charged-offs accounts, late payments, repossessions, delinquent student loan payments, bankruptcy, foreclosures, inquiries, incorrect profile information, identify theft, and many more. Any one of the items mentioned above, or a combination of them, can have a negative impact on your credit score. Our success rate in removing items from a report is outstanding, however, we never make assumptions. That’s why we offer a no-cost credit review so we can take a close look at your report and determine what we able to do. 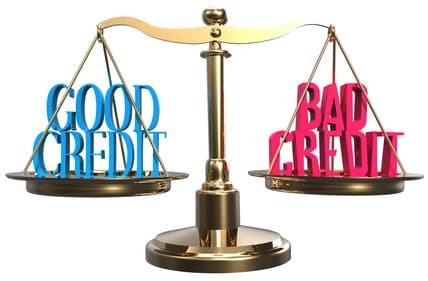 As we mentioned before, most credit repair companies are nothing more than a disputing service. White Jacobs and Associates takes a different approach. We combine three (3) components: 1) Your very own credit analyst to guide you from start to finish 2) customization and due diligence from our investigative research (IR) team 3) and a dedicated in-house attorney that is actively involved in our audits. The level of customization that we perform is unmatched. We’ve engineered our process around people who need to get approved for a mortgage. Naturally, this same process can help for other important financial goals and purchases. It’s important that you understand how we operate fundamentally different than other companies. We are not a typical New York credit repair companies that uses traditional methods (usually limited to sending out disputes). We aggressively audit creditors by demanding that they show proof of their authorization to continue reporting these items on your credit report. More often than not, they can’t provide the proof, so they are required to remove the items. This is precisely why auditing is potentially much more effective than disputing. The experienced members of our investigative research team are crafting communication (backed by our in-house law firm) with creditors until the item is validated or removed. How much time will it take to repair my credit? Our program lasts a maximum of 6 months. Clients typically start to see results as soon as 30-45 days into the process. If you want a better idea of what to expect for your specific situation, just give us a call. We offer a no-cost credit review and consultation. Avoid the Scams. Get started with the real deal. If your credit score is not where it needs to be, then it’s time to call in the professionals. You have financial needs and your credit needs to be in good shape. You need a knowledgeable company with an in-house attorney to help you with creditors. You need more than generic dispute letters. We know the complexities of New York credit repair and our mission is for you to get your buying power back. We really do want to see you succeed. Let’s get the conversation started.